If you made the switch to olive oil for better heart health, good for you. But you don’t have to limit yourself to just one alternative to saturated fat. There’s an entire category of heart-friendly oils to add to your larder—those made from seeds. Many have a very neutral taste, so you might also find that they’re more versatile than olive oil in your healthy cooking. The health benefits: According to an analysis of 54 studies on the effects of 13 different types of oils and solid fats on cholesterol and triglycerides, seed-based oils can help keep levels of these key health markers in check. When it came to lowering LDL-cholesterol and total cholesterol, benefits could be seen after replacing just 10% of the butter in a daily diet—in fact, safflower, sunflower and rapeseed (canola) oil in particular were even more effective than olive oil in this regard. Seed oils are all rich in vitamin E, good for healthy skin and eyes and for strengthening the immune system, but canola oil also has vitamin K, important for wound healing. When buying oils…Most cooking oils are manufactured with chemicals—solvents that help extract the oils from the different plants. So look for brands that state “expeller pressed” on the label, a chemical-free alternative. When you can find them, “unrefined” seed oils will contain even more of the nutrients from the seeds than refined ones. Cooking with seed oils…Safflower, sunflower, canola and flaxseed oils are mild to flavorless, so they don’t affect the taste of recipes. They can be used instead of other oils, with one exception. Flaxseed oil has a very low smoke point—it begins to break down, or “smoke,” at 225°F—so it’s not good for high-heat cooking. Use it in salad dressings and to drizzle over cooked foods and in smoothies. How to store seed oils…Sunflower, safflower and canola oils have a long shelf life and should stay fresh for months after opening if stored in a cool, dark place, such as in a cabinet away from your oven. 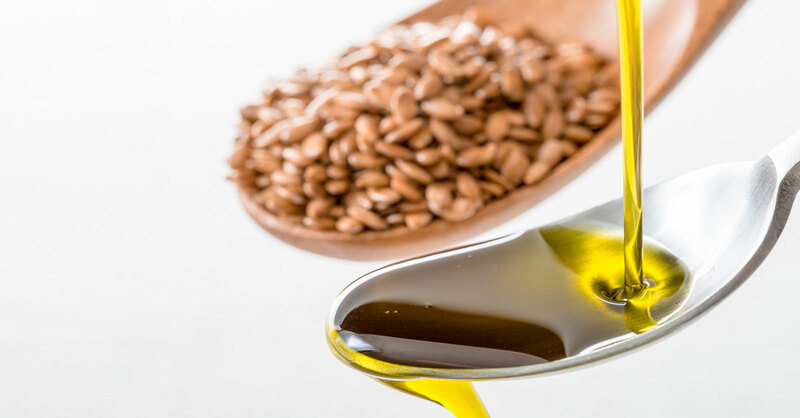 Flaxseed oil, on the other hand, can turn rancid quickly on the shelf—a mere six weeks after pressing—so be sure to check the expiration date on the bottle before you buy, and store it in the refrigerator. Tip: To check for rancidity, pour a few tablespoons of flaxseed oil into a wineglass and hold it up to the light. If it appears dark brown or dark yellow instead of translucent, it’s gone rancid. Of course, you don’t want to indiscriminately load up on these oils—they still have about 120 calories per tablespoon. But they’re a great way to expand your unsaturated fat choices.